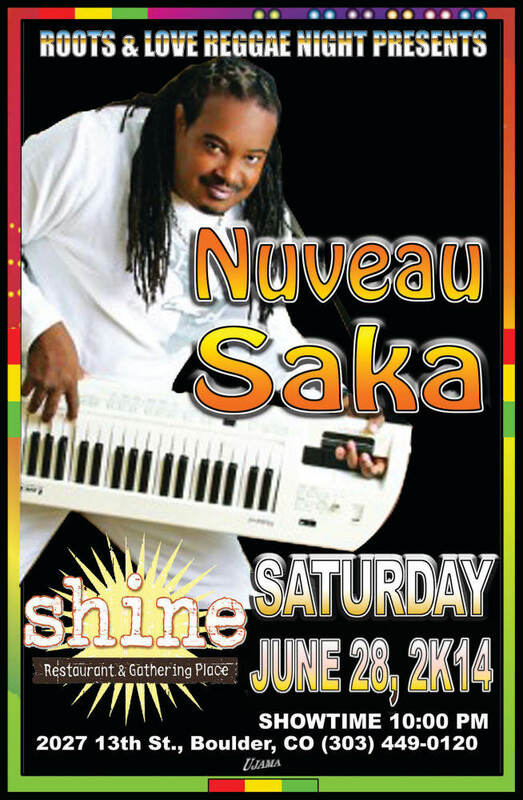 Nuveau Saka—Cohen Hazel was born in Goodwill, Dominica and grew up in Elmshall in Roseau. Cohen attended the St. Mary’s Academy where he co-founded the Ruff & Reddy band in 1989. Cohen created music, performed at many local venues and events and toured with his band of five musicians who he referred to as his closest friends. The group of five included his cousin Clayton Hazel who played the drums and sang lead vocals, Fitzroy Mills who played second keyboard and backing round vocals, Mervin Delsol who played the bass and Daryl Bobb lead vocalist and guitarist. The band toured England, the French West Indies, and the Netherlands and toured to Trinidad & Tobago to back Ophelia Olivace Marie. The band was known for presenting many genres of music, the most versatile among the other Dominican bands of its type at the time. Following his graduation from high school and an extensive career in music with Ruff & Reddy, Cohen moved to the United States in 1995 to further his education in the arts. He graduated with an Associate Degree in Liberal Arts and a Bachelor Degree in Music and Education from the City University of New York at Lehman College. There he was able to develop skills in sight reading music scores, playing in school big bands and jazz bands, writing and composing several Orchestra pieces. While based in Brooklyn New York he formed another band playing similar music, which he and his colleagues called Sakaboyz. Sakaboyz recorded and performed together for eight years. Cohen launched his first solo album in 2006 themed “Who Runs De Show”. In 2006 Cohen moved to Florida where he regrouped with new musicians and renamed the group Nuveausaka. The band recorded its first album in 2009 themed “Wine and go down”. In 2013 Cohen Hazel released another solo album bubbed “Show It Off”. Following the release of “Show It Off” Cohen toured extensively throughout the United States performing as opening act and accompanying one of the singing sensational groups from Jamaica “The Melodians ” known for their popular rendition of the hit song “River of Babylon” which they were the first to recreate this psalm into Reggae music. The ten-track album “Show it Off” comprises of Soca, Cadanse and reggae tunes, which he performs at clubs, restaurants and bars on the Tampa Florida entertainment circuit. Cohen is a very versatile musician who is skilled in performing a wide variety of music genres particularly Caribbean dance music, which includes Cadanse, Bouyon, Soca and Reggae primarily, as is reflective in his latest release, an attribute that was cultivated during his years with his first group Ruff & Reddy. Mr. Hazel looks forward to launching a new record with Ruff & Reddy as the group has recently reunited to perform and record a new album which it hopes to release this year in time for the next festive season entitled “My Brother’s Keeper”.